Four different packages to choose from and suit your needs. If your needing Family Entertainment then Crazy Kris is the way forward. 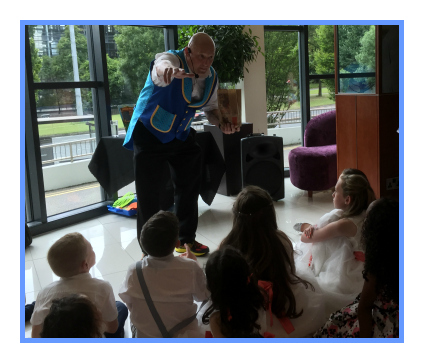 Crazy Kris is the perfect local professional party magician that also performs Family Entertainment for all the family covering the whole of the North West. Please find a list of all areas that Kris travels to, if you can not find yours just drop him a quick email for your family entertainment. Finding a professional entertainer to perform Family Entertainment can be a big task, especially someone who is professional and does it for a living not just part time. 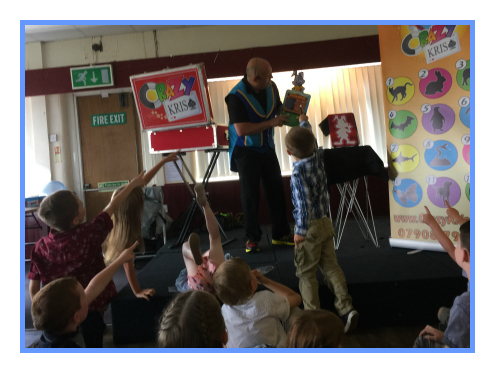 So if you are looking for a perfect professional childrens entertainer and you live in Lancashire, Manchester, Cheshire or Merseyside and all surrounding areas then Crazy Kris is what you need for your Family Entertainment. Crazy Kris does not just perform Family Entertainment he entertains everyone of all ages. Crazy Kris is the N#1 Birthday Party Specialist and the only one you can trust for Magic For Children. Not only he does Family Entertainment but also provides entertainment for Schools, Libraries and PTA functions. Kris is your perfect choice for yout Family Entertainment with over 10 years of experience in the magic industry and most of all he loves his job. There is four different choices for the Family Entertainment that is more than enough to choose from. What ever the event for your Family Entertainment Kris can work something out for you.